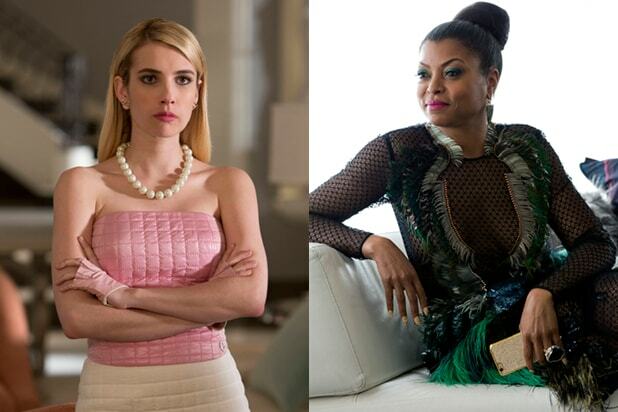 Fox has renewed “Empire” for Season 3 and “Scream Queens” for Season 2, Fox Television Group chairmen and CEOs Dana Walden and Gary Newman announced at a Television Critics Association panel on Friday. “Empire” shattered ratings records during its first season and, despite slipping slightly from those heights during the first portion of Season 2, the show remains the most-watched broadcast program on Wednesday nights and the top-rated show on Fox. Taraji P. Henson recently won the Golden Globe for Best Actress in a TV Series, Drama for her role as matriarch Cookie Lyon, while the show was the only broadcast series to earn a Golden Globe nomination this year in the category of Best TV Series, Drama. “Empire” stars Terrence Howard, Taraji P. Henson, Jussie Smollett, Bryshere “Yazz” Gray, Trai Byers, Grace Gealey, Kaitlin Doubleday, Gabourey Sidibe, Ta’Rhonda Jones and Serayah McNeill. Cookie, Lucious and the entire Lyon family will return when the series airs its Season 2 spring premiere on March 30 at 9 p.m ET on Fox. For the second season of “Scream Queens,” executive producers Ryan Murphy, Brad Falchuk, and Ian Brennan will move the show off of the college campus and into an all-new location. This time, the show will be set in a hospital, where some of the most fascinating and bizarre medical cases are under observation. It is not known at this time if any cast members from Season 1 will be part of Season 2. Across platforms, the show averages a 167 percent gain versus its live-plus-same-day delivery, rising to 7.2 million viewers per episode. That is the the biggest multi-platform percentage gain versus live-plus-same-day ever for a Fox program over the comparable period.